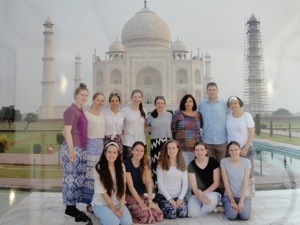 Posted in India Immersion 2016. 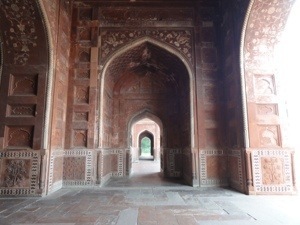 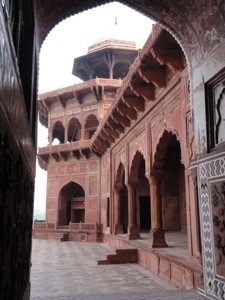 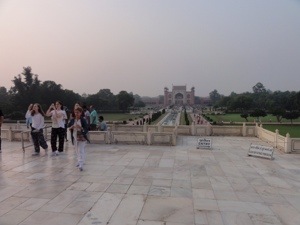 This morning we travelled from Delhi to Agra, a relatively quick two and a half hour journey. 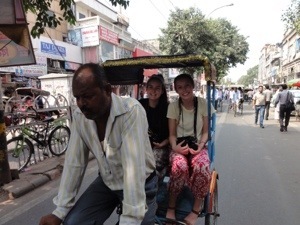 No traffic! 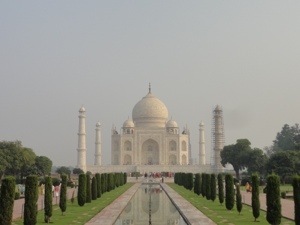 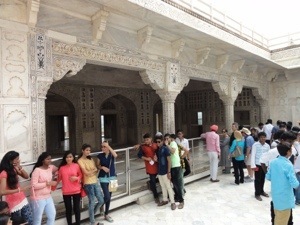 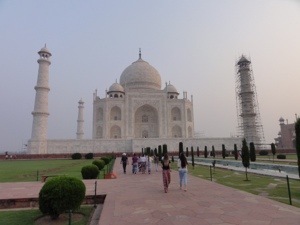 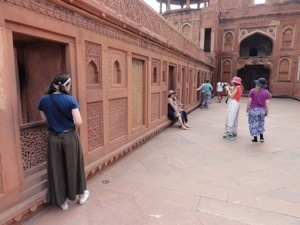 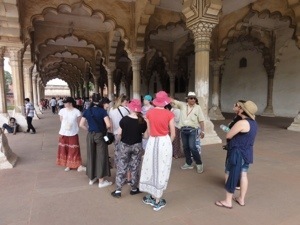 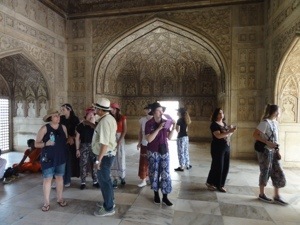 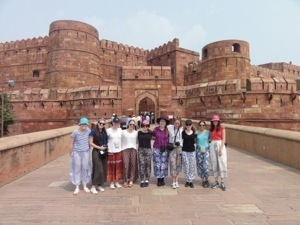 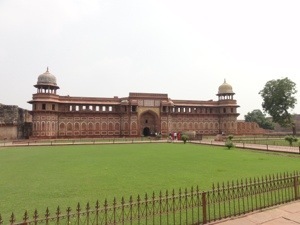 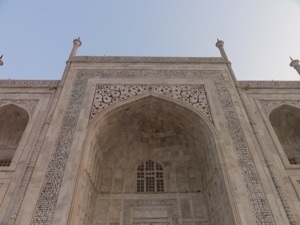 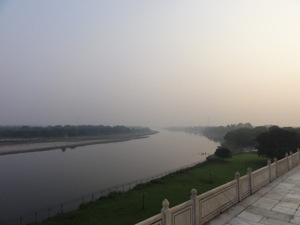 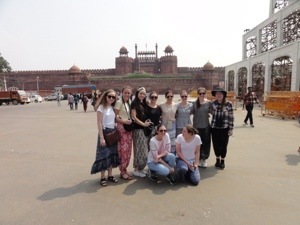 On arrival in Agra, we visited Agra Fort and, after lunch and a short break at the hotel, we took in the sights of the Taj Mahal from the banks of the Yamuna River. 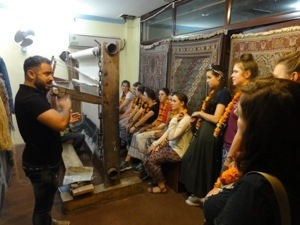 On our return to the hotel, we were met by Sultan and Shambhu who took us for an auto rickshaw tour of a carpet factory, jewellery store and textile shop. 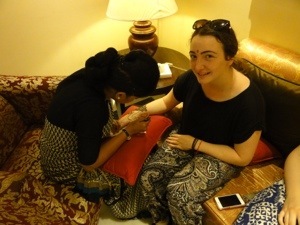 A highlight of the day was the henna painting, a complimentary service offered by one of the staff at the hotel. 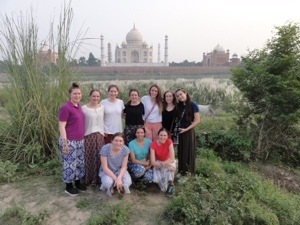 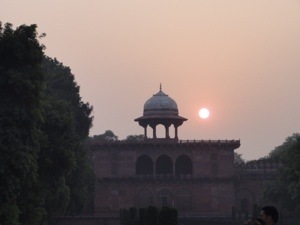 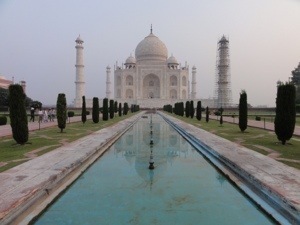 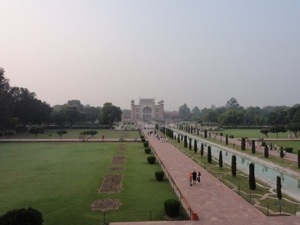 We have an early start in the morning to see the Taj Mahal at sunrise. 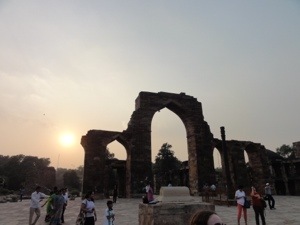 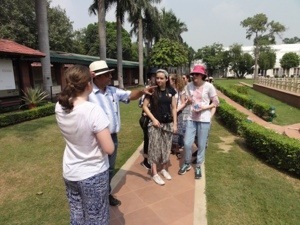 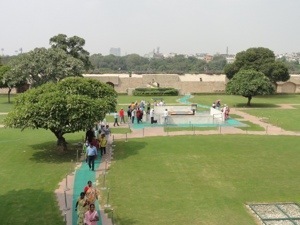 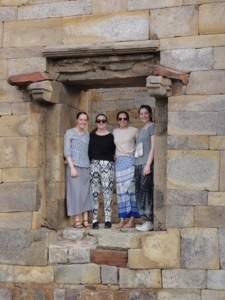 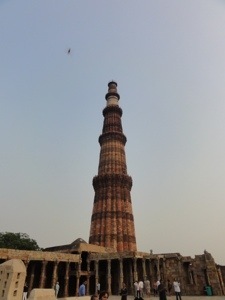 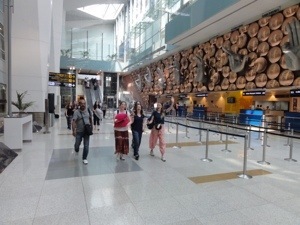 On Monday, we arrived in Delhi and spent the afternoon familiarising ourselves with the old and new areas of the city and a visit to India Gate, the national war memorial. 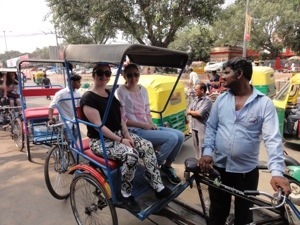 On Tuesday, we took a rickshaw ride through the main marketplace in Delhi, Chandni Chowk and made the most of our photo opportunities in front of the Red Fort. 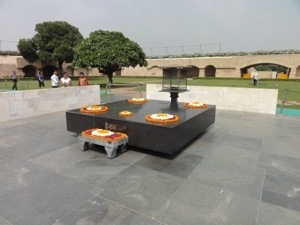 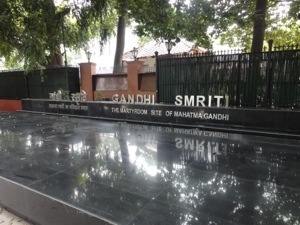 We visited two sites of significance to the father of the nation, Mahatma Gandhi: Raj Ghat (Gandhi’s tomb) and Gandhi Smriti (the site of Gandhi’s assassination that is now a museum dedicated to telling his life story). 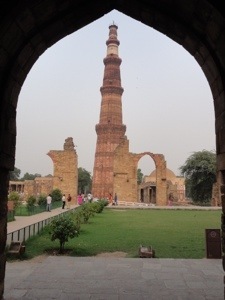 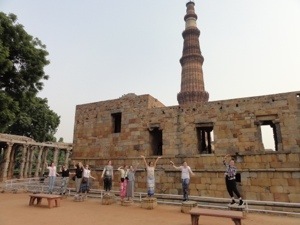 In the afternoon, we visited Qutub Minar, the world’s tallest brick tower built in the 12th Century by India’s first Muslim ruler. 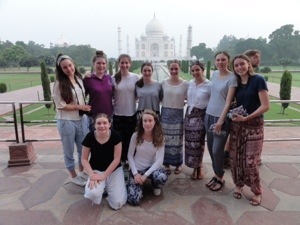 Today we celebrated Ella’s 16th Birthday. 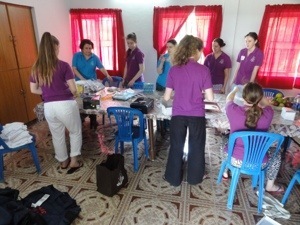 Plenty of chocolate cake all round! 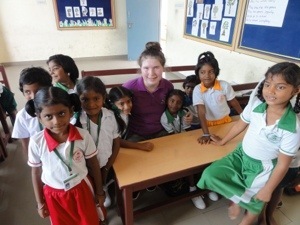 Happy Birthday Ella. 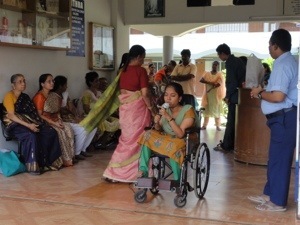 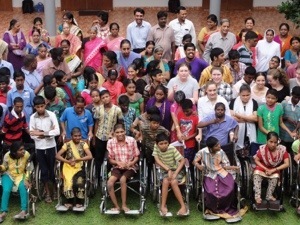 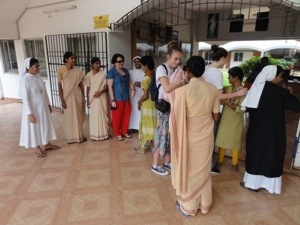 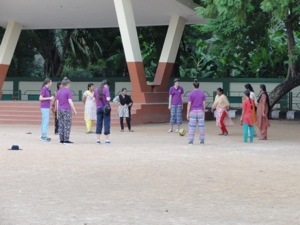 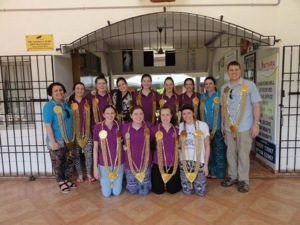 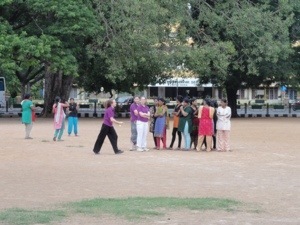 After breakfast at Mithra on Saturday, we said our goodbyes to the Sisters, staff and students and headed for Kolkata. 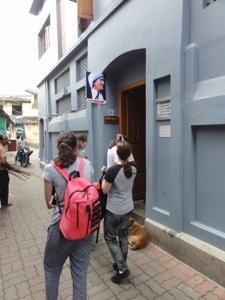 With the recent canonisation of Mother Teresa, it was fitting that we made the pilgrimage to Mother’s House and the ministries that she established. 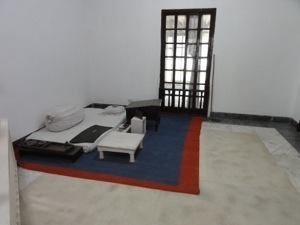 On arrival, we visited St Teresa’s tomb and the room where she lived and worked for nearly fifty years. 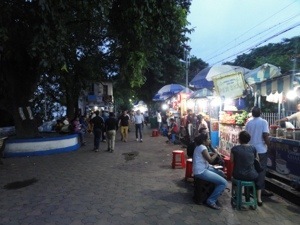 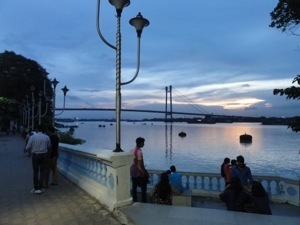 We then had a short tour of the city including an evening stroll along the Hooghly River (a distributary of the Ganges) and a view of the Victoria Memorial by night. 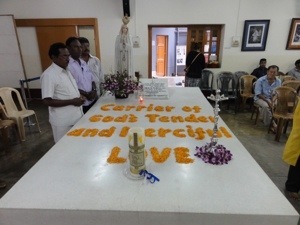 On Sunday, we rose early to join the Missionaries of Charity for morning Mass. 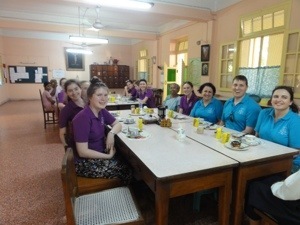 We then gathered with other volunteers for a simple breakfast of bananas and bread before commencing the day. 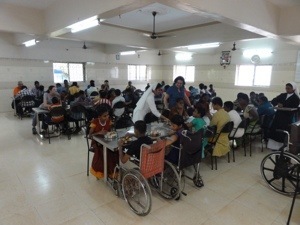 Six students spent the morning at Shishu Bhavan (a home for children close to Mother’s House) and four students travelled further afield to Daya Dan (a home for physically and intellectually challenged children). 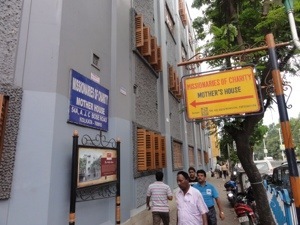 These ministries are just two of a number operated by the Missionaries of Charity in Kolkata and they attract volunteers from around the world. 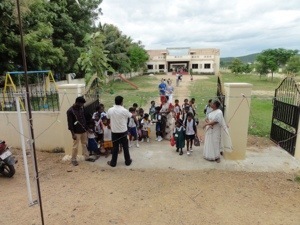 Some visit for a day; others stay for months at a time. 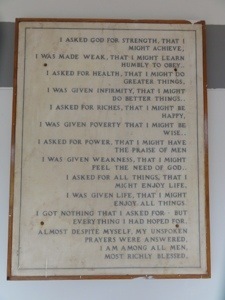 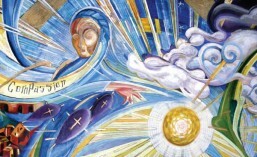 The work that the Sisters do here and around the world, is a living tribute to the remarkable life of Mother Teresa. 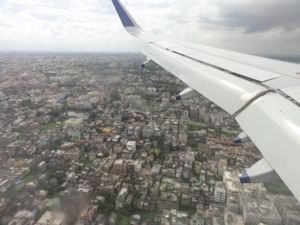 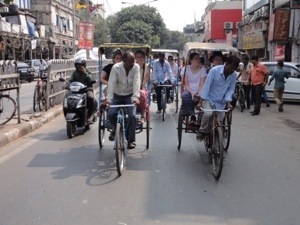 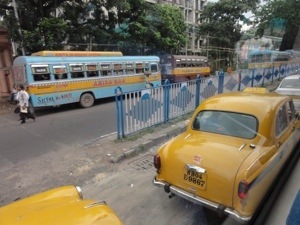 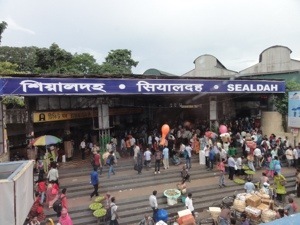 Whilst in Kolkata, some of us rode in a local bus and the metro. 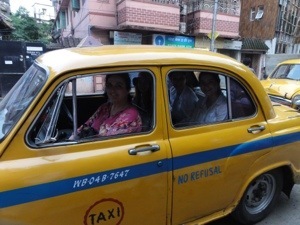 We all experienced Kolkata taxis. 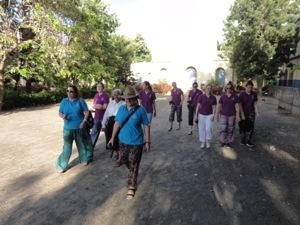 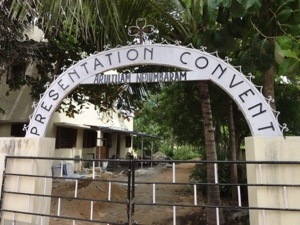 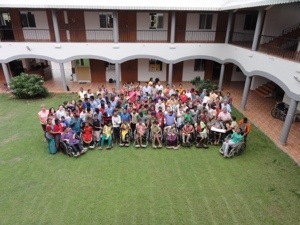 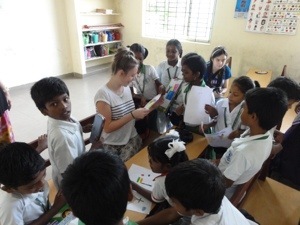 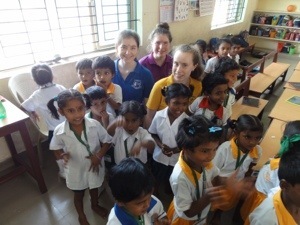 Today we travelled to the Nano Nagle Nursery and Primary School that is located approximately two hours west of Chennai. 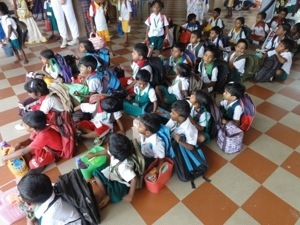 The school was built only a few years ago to meet the growing demand for education in the area. 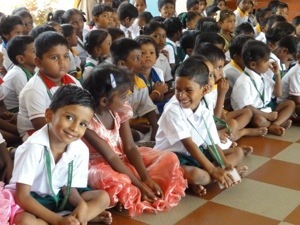 The school has a current enrolment of 110 students but this will continue to increase over the next three years as the first cohort (currently in 3rd Standard) reaches 6th Standard. 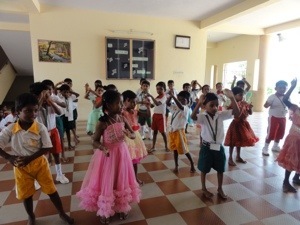 During our visit we were treated to a cultural program of dancing, classroom visits and a tour to some of the villages where the students live. 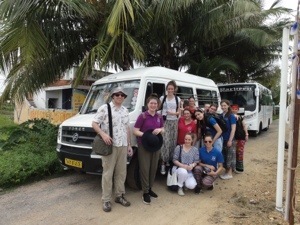 The bus that was purchased a few years ago through the generous contribution of the AMAQ Foundation and the fundraising efforts of Sarah Miller (Alumna 2011) is most valued by the Sisters, staff and students and is getting plenty of use. 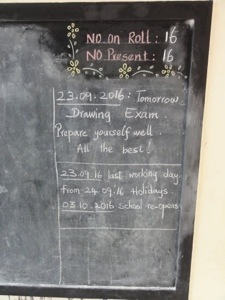 There are now four runs each day. 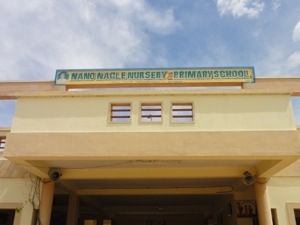 The Nano Nagle Nursery and Primary School is a Presentation Ministry of Nagle House. 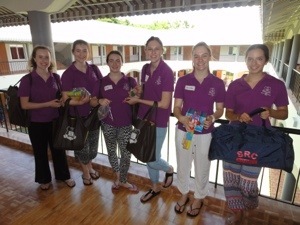 The proceeds of fundraising by Nagle House support the maintenance and running costs of the bus. 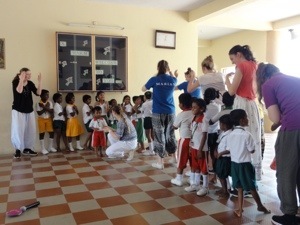 To mark our final day at Mithra, the staff and students held a special assembly. 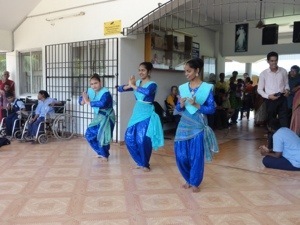 The dancing and singing was wonderful and a testimony to the talent of the students here. 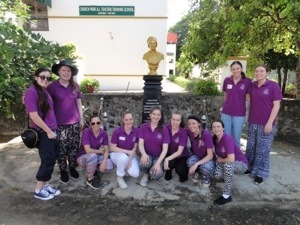 We extended our thanks to the Sisters, staff and students for the generous welcome they have given us over the past five days and presented a token of our appreciation. 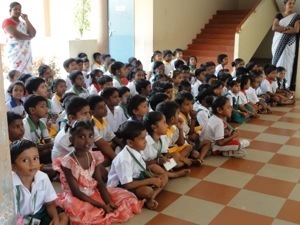 Earlier in the day, students distributed stationery packs to each of the classes and gifts to each of the teachers. 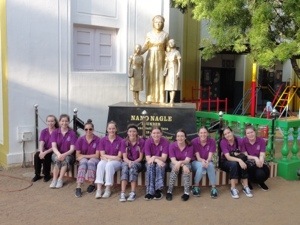 In the afternoon we visited the Presentation Sisters at Church Park and toured the campus that encompasses Sacred Heart School, St Ursula’s School, the Tamil Medium School, the Nano Nagle Community College and the Teachers’ Training College. 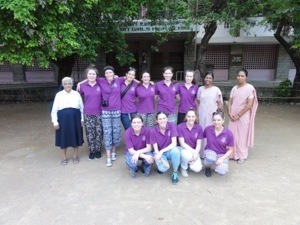 The Sisters were very welcoming of us and so passionate about the wonderful work they do. 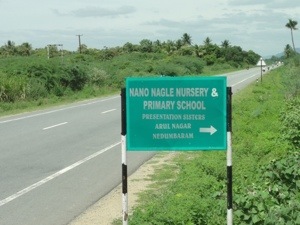 Tomorrow we will visit the Nano Nagle School at Kanakamma Chathram. 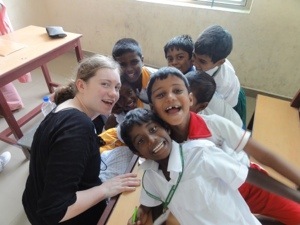 The school is located approximately two hours west of Chennai. 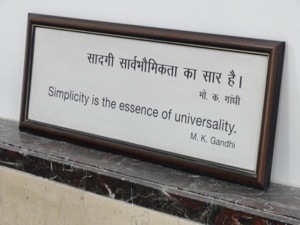 A group photo to begin the day and some wisdom from the walls.